Laid down, 15 June 1944, at American Bridge Co., Ambridge, PA. 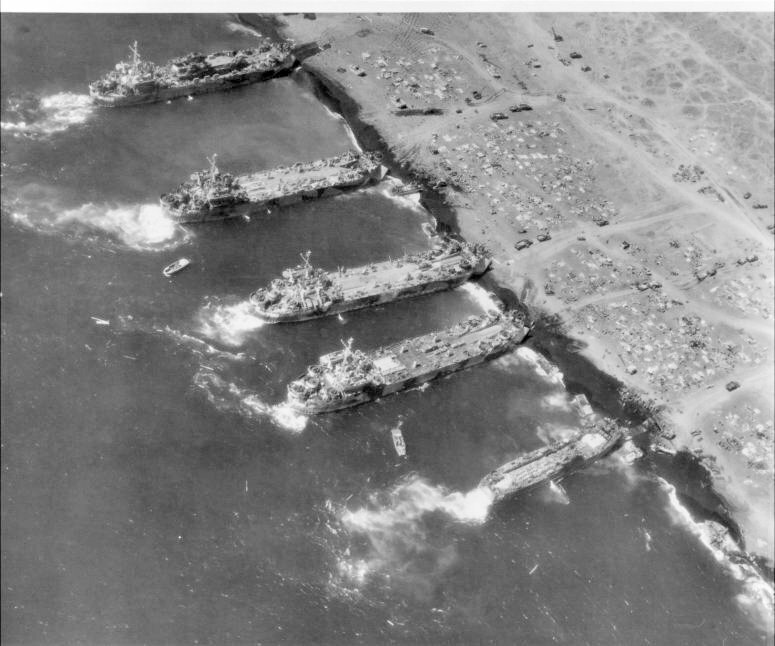 Final disposition, sold for scrapping, 29 May 1948, to Bethlehem Steel Co., Bethlehem, PA.
88k From top to bottom USS LST-808, USS LST-788, USS LST-760, USS LST-724 and LSM-264 beached at the foot of Mount Suribachi, Iwo Jima, 24 February 1945. Note that the ships keep their propellers turning over to hold themselves in position. In the water are a DUKW and an LCPR; in the surf and on the beach are LVT's, DUKW's, trucks, bulldozers, and a crawler crane. 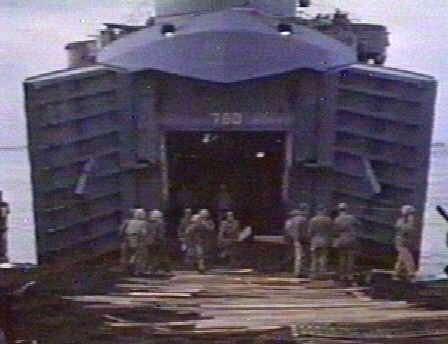 Trucks at the right are towing 105mm howitzers inland from USS LST-724. 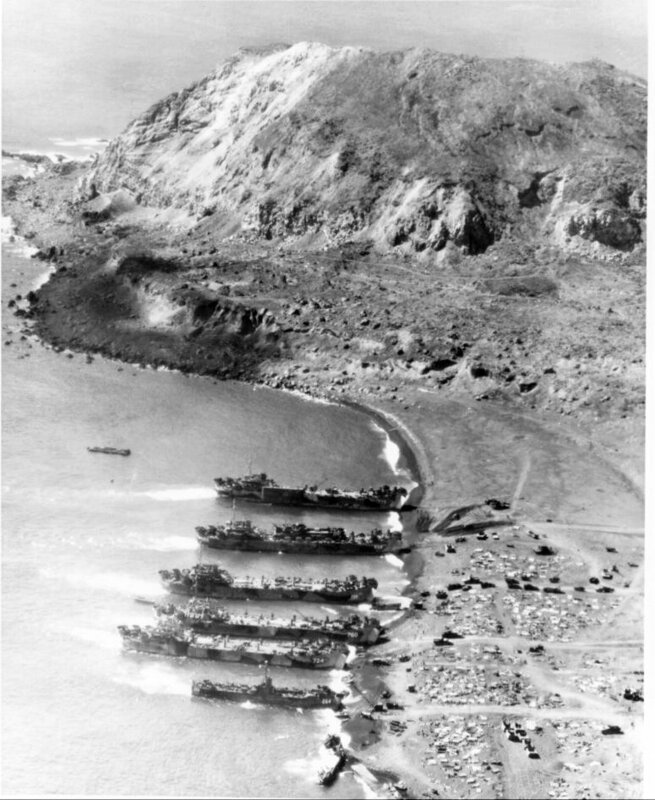 154k From top to bottom USS LST-779, USS LST-808, USS LST-788, USS LST-760, USS LST-724 and LSM-264 beached at the foot of Mount Suribachi, Iwo Jima, 25 February 1945.